I will try to be QRV on 23cm for a few hours this weekend, but I’m having some difficulty working up any enthusiasm for the ARRL contest after the fiasco with my entry last year. My intention is just to work a few stations, hopefully find a few that I haven't worked before, and have some fun. Also, as I'm not entering the contest, I will be monitoring the loggers and will take real time skeds from anyone who wants to try CW or JT65c. Note: there were quite a few stations logged in on HB9Q's logger last night... some I guess should not have been there if they are entering the contest! This was not really a serious effort on my part, as I like so many others had decided not send in a contest entry… but I was interested in working whoever was on. I suspect that to have done much better, I would have had to put a lot more time and effort in during the night… I wasn’t up for that, the first weekend was only 2 days after an op on my foot, and I had to return to work the next day after the second weekend. 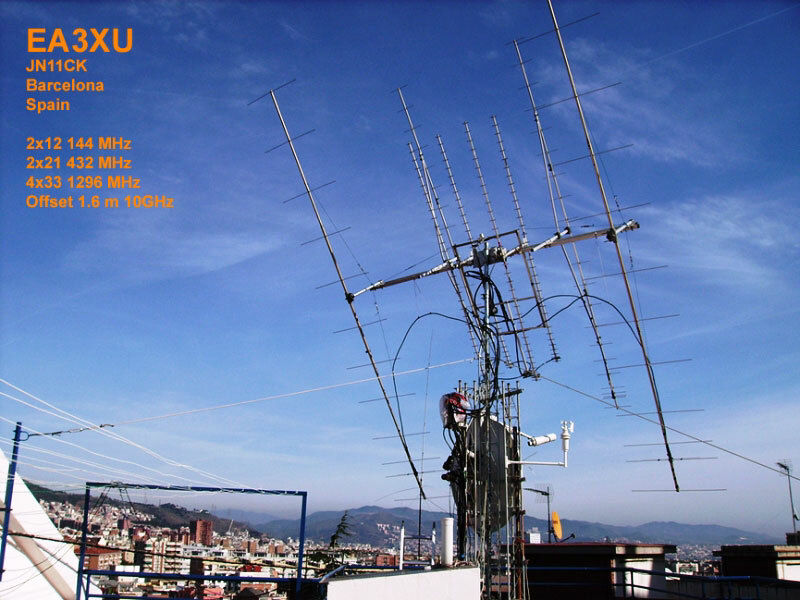 Also, to get a good place in the most challenging category (CW unassisted) would require concentration on just analog QSO’s and potentially missing some digital initials… so no point in working digital and include the QSO’s in a contest entry to end up being placed 1st out of 1 like last year, hi! So I just went ahead and did my own thing at a relaxed pace and had some fun. I did monitor HB8Q’s logger and occasionally ON4KST chat, but this is NOT my normal practice during Contests. It was interesting to note that some stations known to be entering the contest were listed as logged on during the contest… perhaps they forgot to log out… or did they? Curiously, the contest seems to have generated possibly the largest level of activity on 23cm that I’ve known during my 26 years experience… despite all the disagreements about the rules. Just think what we could have had if we had some sensible rules, and those that said I’m not even going to operate had pitched up too! JA4HZN, JA4LJB, JA6AHB, JA6CZD, JA8ERE, JA8IAD, JH5LUZ, K1JT, K1RQG, K1RQG, K2DH, K4QI, K7XQ, LA2Z, LA9NEA, LX1DB, N2UO, NA4N, NY2Z, OE9ERC, OH2DG, OK1CA, OK2KJT, OK3RM, ON4BCB, ON5RR, ON7UN, OZ4MM, PA3CSG, PA3FXB, PI9CAM, PY2BS, RA3AQ, RK3WWF, RW3PX, SD3F, SM5LE, SP6JLW, SP7DCS, SV3AAF, UR5LX, UT5JCW, VA7MM, VK3NX, VK4AFL, W9IIX, WA5WCP, WW2R. 1001 CW JA8IAD 569/559... the opposite way to normal, on my Moonset 311deg az 4deg el. Heard RA3EC but didn't get an opportunity to work him, will be looking for him on the next pass plus RA6DA, DL1HYZ and anyone else I can find. 2234 OK2KJT 549/559 for Initial... tried earlier on JT but too much drift, so CW did better this time. 2300 JA4HZN 569/559 for Initial... not sure what grid he's in? I found out later that UA9 (Asiatic Russia) is a new DXCC for me and first C to UA9... really pleased with that, thanks Viktor!